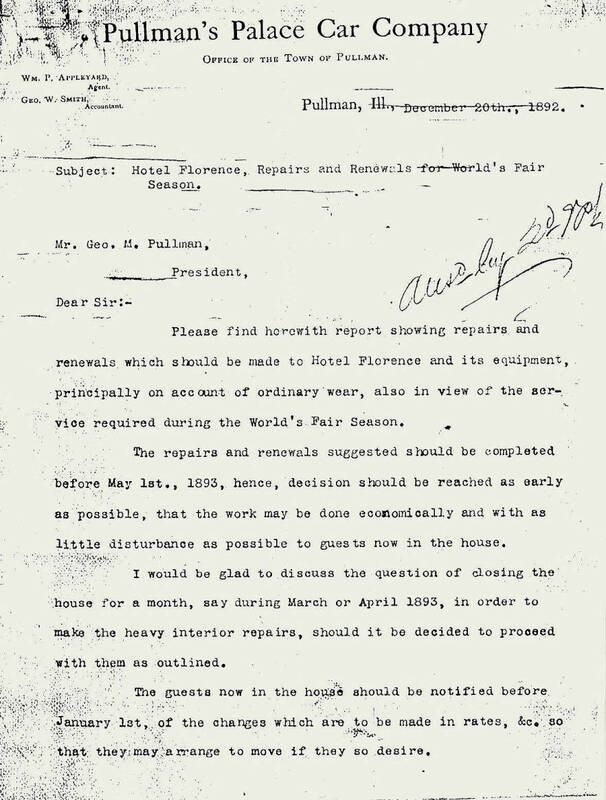 Copy of letter (12/20/92) sent to George M. Pullman by Agent Wm. 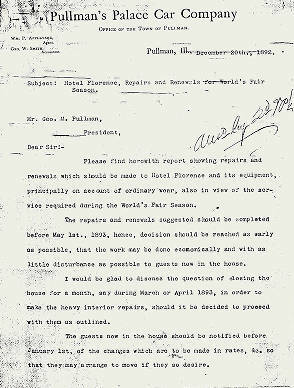 Appleyard regarding repairs to hotel. Includes room pricing for May 1st to Oct. 31st, 1893, during World's Fair season. Description Copy of letter (12/20/92) sent to George M. Pullman by Agent Wm. 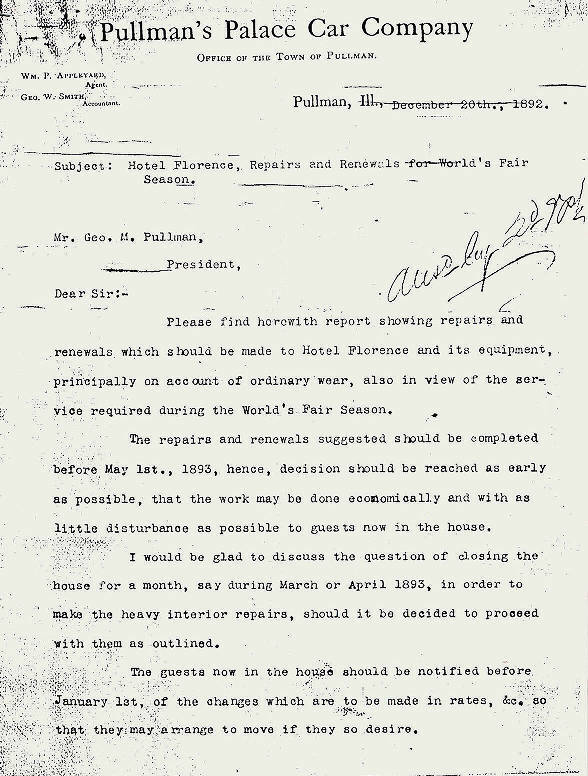 Appleyard regarding repairs to hotel. Includes room pricing for May 1st to Oct. 31st, 1893, during World's Fair season.